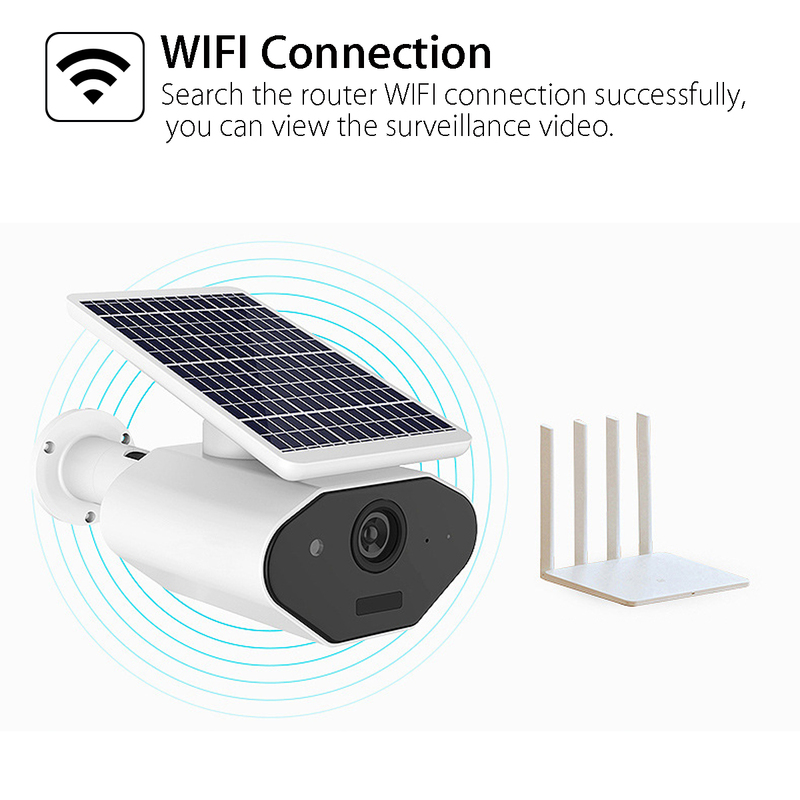 - Prevent theft, robbery and vandalism in your home or business. - Wall mount brackets and fixtures. - Easy and quick to install - no wiring required. - Can be used indoors and outdoors, for homes, shops, commercials, garages. - Built-in microphone and speaker for two-way intercom in the app, speaker and hear each other, perfect for taking care of you and the elderly. -Only mobile app connection is supported, and other devices are not supported. -No need to set up ftp server. -If the infrared sensitivity of the camera is set higher, the frequency of triggering the recording will be high. 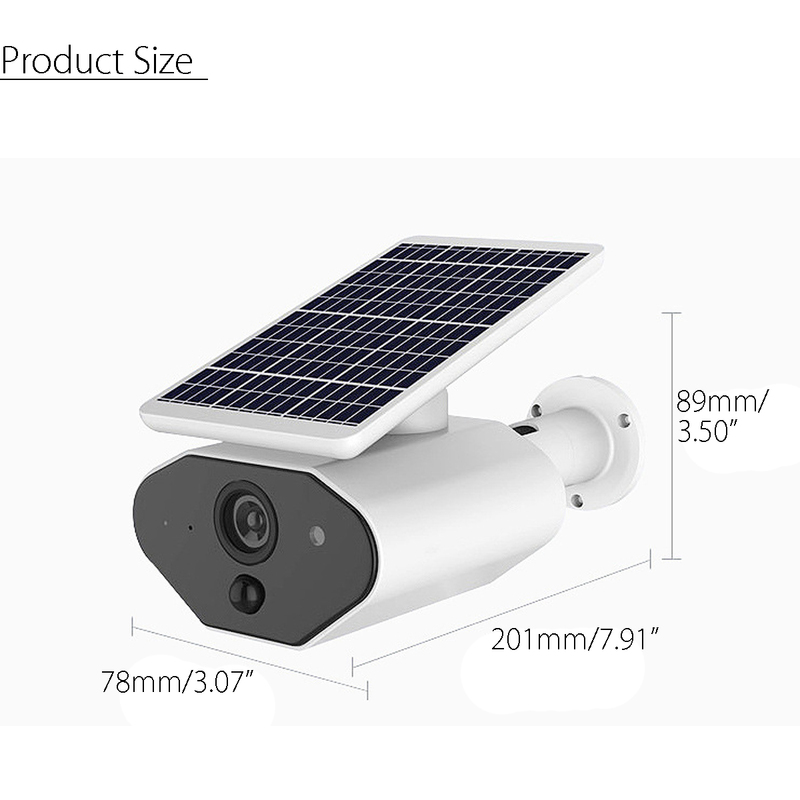 At the same time, if the recording time is set too long, solar charging and a lot of power consumption may occur. It is recommended that the user adjust the sensitivity in the app. Low, the length of the video is shortened, and then placed in a sunny place to ensure battery life. Camera size: 20cm x 10cm x 5cm/7.87" x 3.93" x 1.96"
Packing size: 23cm x 18.5cm x 8.2cm/9.05" x 7.28" x 3.22"